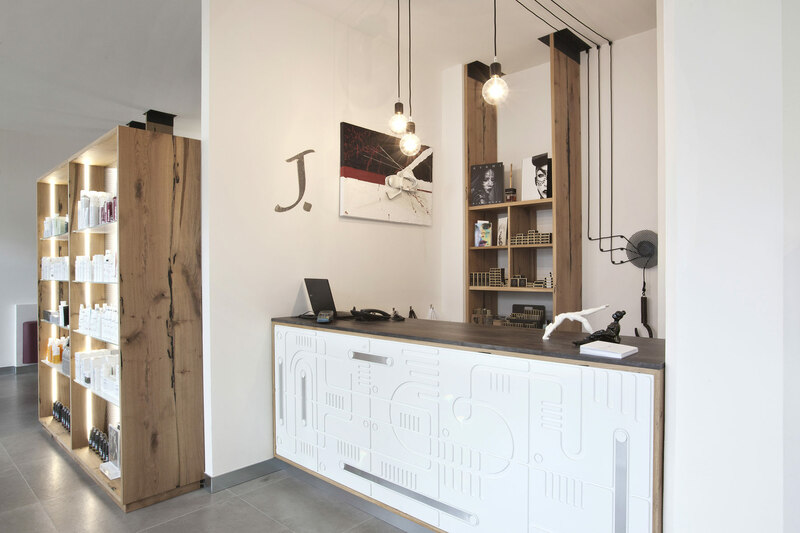 “When two creative minds meet, great projects rise” ; the concept for the new J.Hair’n’Beauty comes from the need to sketch and strengthen the peculiar and extremely innovative personalities of Giada and Luca Quarta. Two siblings who have chose to live in Salento but also to export their qualities nationally and internationally. Working with artists from music, cinema and fashion (Malika Ayane, Emma, Armani, Flavio&Frank, Gabriele Surdo, Totò De Lorenzis, etc…) they conducted this healthy predisposition to their “Studio” in Corigliano d’Otranto. 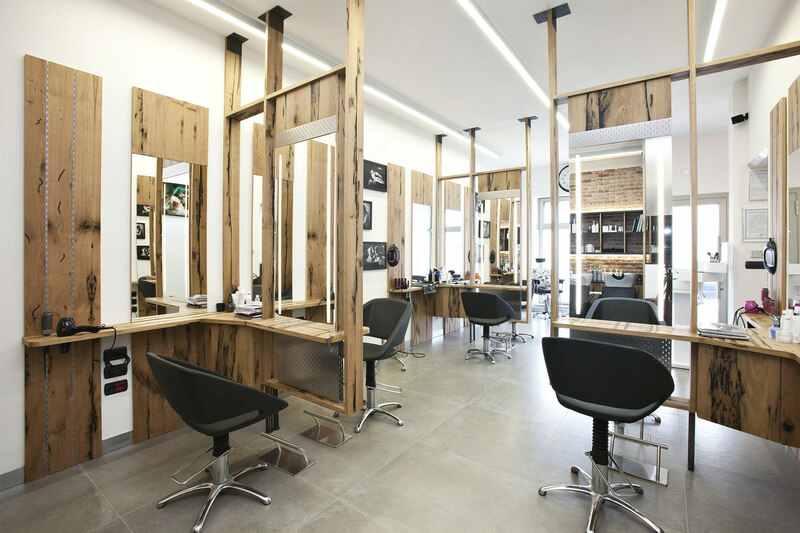 An Industrial and Rock style that doesn’t disturb the mood of the customers, but it makes them feel main characters in the intimate research for a new look and a new mood. Workstations are studied for ensure maximum comfort and use of space. Perpendicular to side walls and hanging from the ceiling, characterize the space and the final perception; made with wood with micro-pierced steel inserts, they’re provided with to mirrors each, suffused lighting and topper just like a real VIP dressing room; this lighting system allows to avoid any shadow area on customers’ face, essential need for the customer. 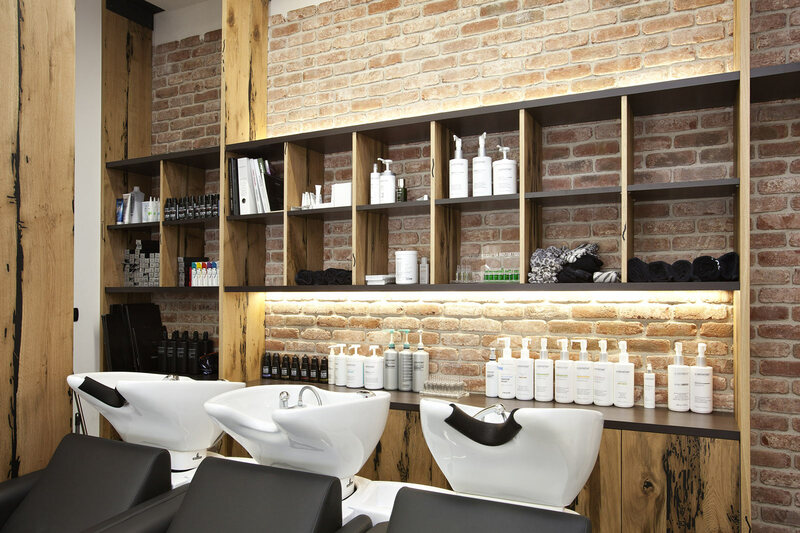 The wall placed behind washing workstations is partially upholstered with bricks , giving an industrial effect with a New York taste, exactly for distinguish this location and give a hint of warmth; an equipped wall allows to put products and towels. 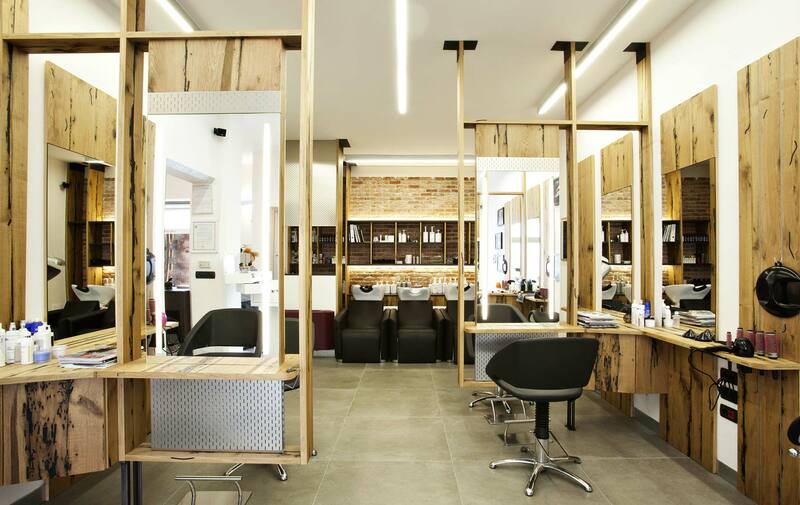 The floor, made with a light-toned concrete effect , connects the L space between haircut area, washing and workstations for beauty services. Workstations, stands, showcases and the cash register are entirely custom- made by Barba Arredi company in Monteroni, Lecce, and designed by Architect Marco Giovinazzo. The peculiarity of the cash register, that is pantographed too, is recalling the shape of the tools used by the two siblings to achieve their creations. 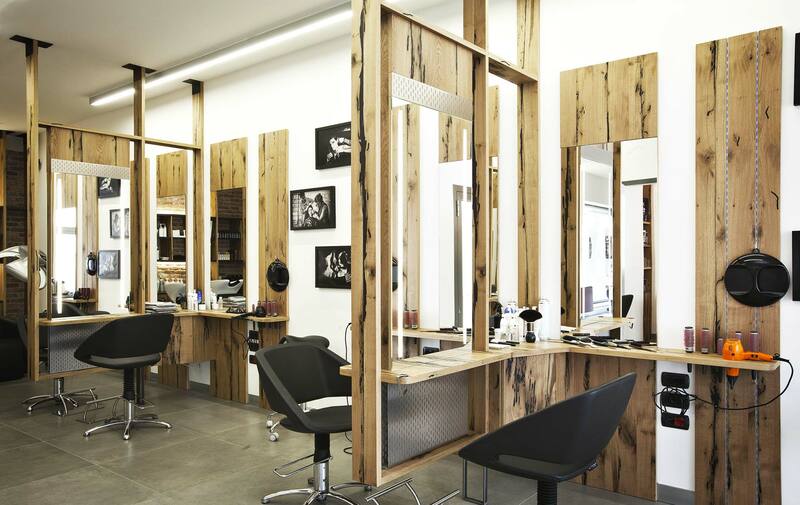 Scissors, razors and combs are the geometries that appear on the front of the Desk. The Project is in a non-stop development and new designed and custom-made decors will be added soon, together with a set of wallpaper of the Italian company London Art, used to decorate the white walls. The idea of having a space that can change and evolve through time will permit Giada and Luca to customize further their working space.